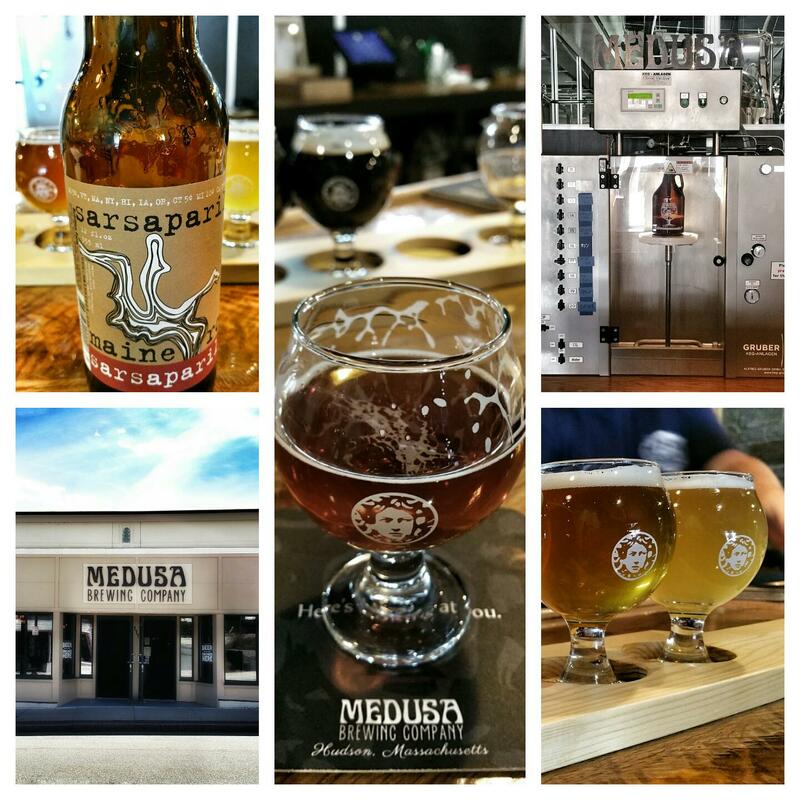 Early last Sunday afternoon I stopped by the Medusa Brewing Company’s taproom to get a taste of what they have to offer. I found Medusa Brewing while doing some local traveling. I hadn’t heard of them before, likely due to the taproom having just been opened at the beginning of March. A quick read of their blog informed me that they concluded a successful Kickstarter campaign at the end of last year which helped them put the finishing touches on a very nice space in downtown Hudson, MA. Walking through the front door you enter into a good-sized serving area. It’s a sizable space: there is a large bar to the right with plenty of tables, a standing area to the left, and large clean restrooms in the back. My wife and I took a seat at the bar and had arguably one of the best spots in the house. 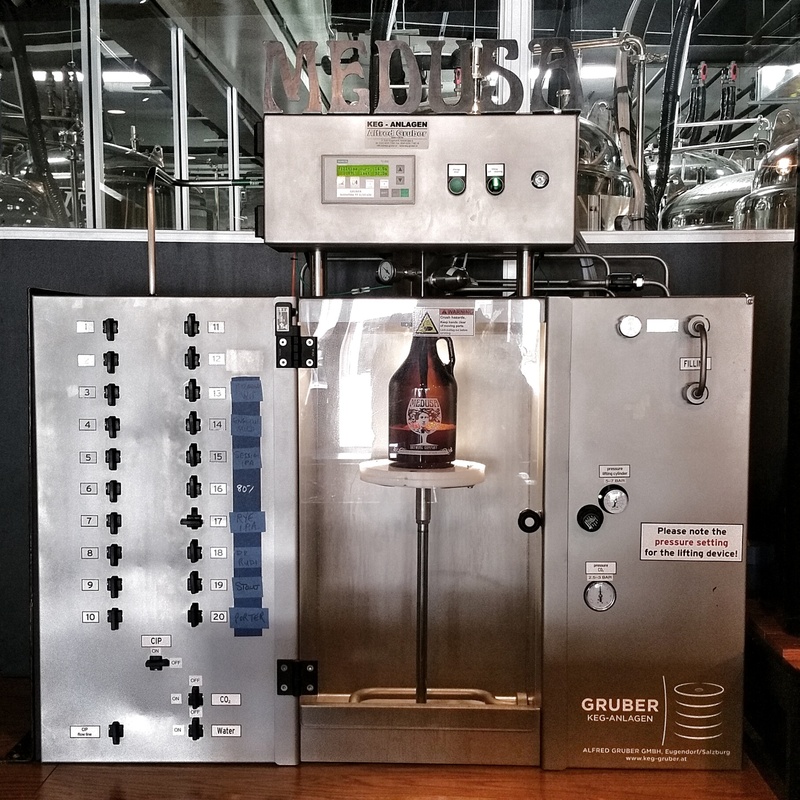 We were able to see through a window onto the brew floor, but even better than that, directly in front of us was one of the most awesomely mesmerizing things I have seen in a bar or brewery: an automated growler filler. It made for great entertainment, and we did not get tired of watching it in action. When we first arrived, there were only a few other patrons, but as I got to work on my first flight the place quickly filled up behind us. That’s usually a good sign and it’s great to see a new place get that kind of support. The people behind the bar were all friendly despite being kept rather busy and both me and my amazing gluten-sensitive wife felt welcomed. She amused herself by drinking a Sarsaparilla root soda and taking most of the wonderful pictures you see here. Now that I’ve set the scene, let’s talk about the beer. 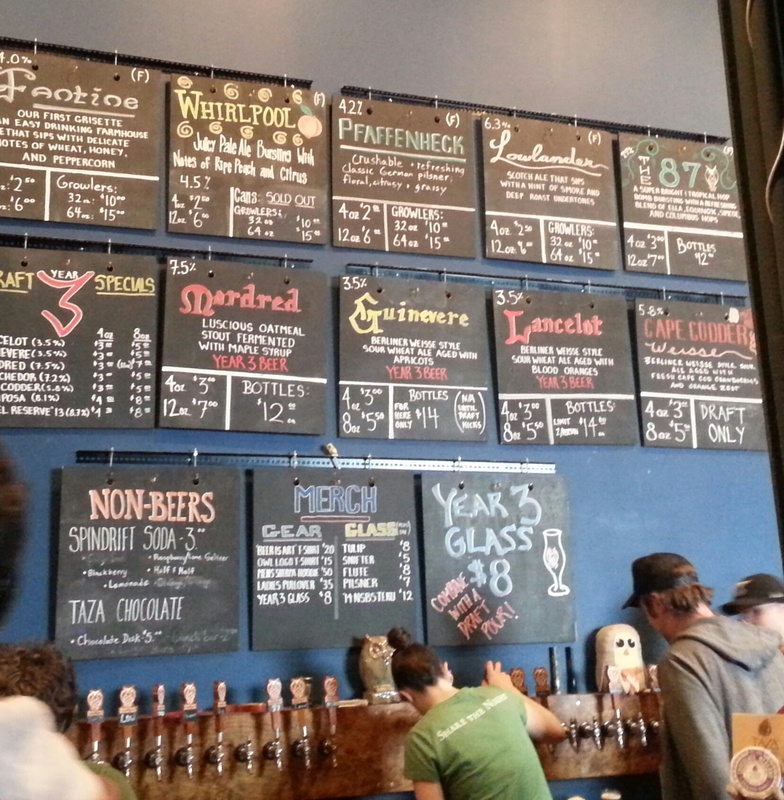 A quick scan of the tap list revealed a few notable points of interest. For starters, it looks like they are going to regularly have cask offerings, something I really approve of. Cask beer has been my big discovery this year and it seems to have followed me here as well. Unfortunately it was kicked on the day of my visit (it started pouring on Thursday), but a lot of their beers will probably translate well to this format, so I can see this being a great thing for them to explore. As for the beers I was able to try that day, there were a couple of styles I was really intrigued by because they are usually underrepresented in the craft scene. There was a great English Dark Mild dubbed Sir Terry and a sessionable Scottish Export ale called Moffat 80/-. 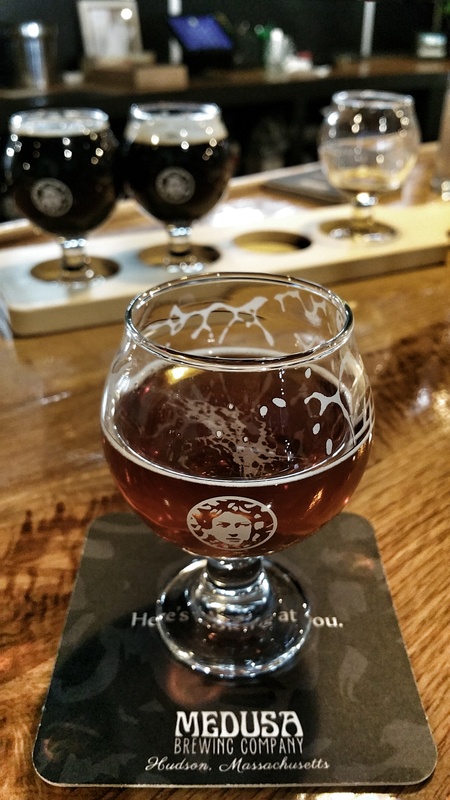 Sir Terry is aptly described as “mild in strength but not in flavor” on the menu and that is a great description. As the style suggests, it pours black with just a bit of white/tan head. Light roasty taste up front, accompanied by nice notes of malt and cocoa. A thin mouth feel served this beer quite well and makes it very easy to drink. The Moffat 80/- was an equally delicious mix of malts of which a light caramel was the most predominant. Another easy drinker, this one warmed up well, and I think would make for an awesome cask. 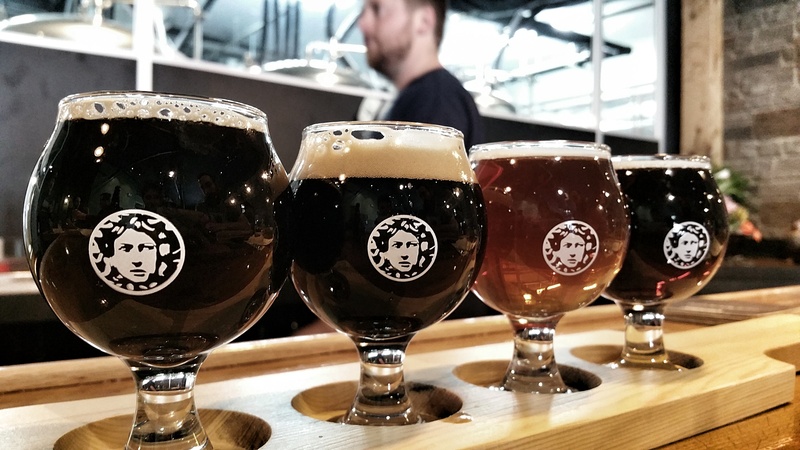 The rest of their lineup consisted of solid examples of more traditional styles ranging from light and hoppy to dark and roasty. On the hoppy front, they were offering Citra Legacy, a Rye IPA using Citra hops, a Session IPA called Emilisatie, and Dr. Rudi, a Pale Ale. Citra Legacy poured a light caramel color and had a nice malty, slightly spicy rye base. The citrusy hop finish really brought this together and overall this was a well executed IPA. As a reference point, I wouldn’t put it at the elite Trillium-like level but I did find it highly enjoyable. The Emilisatie had a ton of flavor for a Session IPA. There was a big burst of hops up front, and a clean finish that again made for an easy to drink and flavorful beer. Last but by no means least was Dr. Rudi, the first installment in their Solo Project Series in which each beer highlights a single hop variety; in this case New Zealand’s own Dr. Rudi hops. This was a decent Pale Ale with a moderate hop presence, but something in the finish which threw me off a little bit. I want to say it was a bit maltier or maybe roastier than you typically expect for the style. Not a bad beer, but this didn’t quite do it for me. There was, however, an alternate version run through a Randall of fresh grapefruit that was quite tasty. The grapefruit infusion blended well with the moderate hoppiness of the original and gave the beer an amazingly strong fresh juice smell. The grapefruit also completely dominated the finishing taste of the original so this version was definitely the one I preferred. If I had to rank them, I would go Citra Legacy, Dr. Rudi Randall, Emilisatie, and then regular Dr. Rudi. Rounding out the list of lighter beers is Wittershins, a Belgian style Witbier. I am hit or miss on this style but I did like this one. There were notes of orange and a lemony/citrus zest and it was overall very clean tasting and refreshing. There was also a subtle mix of light spices that made a nice contribution to a very flavorful beer. It was maybe slightly out of season for me on a day just barely touching 60, but I would be all over this as a late spring or summer beer. There was no direct comparison to it on the menu that day, but I would rank this quite favorably among the samples available. For dark beers, they offered Stout Lad and Blighty, a porter. Stout Lad was a 7.2% stout (the strongest of the day’s options) and had a roasty and moderately chocolate taste. Like the rest of the beers here, it had a good mouthfeel and was smooth to drink. Blighty was a Porter that in a lot of ways was a slightly milder version of the stout. There were some chocolate and coffee notes but not as much of the roastiness of the Stout Lad. Both were well done and I would imagine choosing between the two comes down to individual taste preferences. Myself, I prefered the less roasty Blighty. The bartender told us that the next beer to get the Randall treatment will be the Porter infused with coffee beans which I can imagine being pretty amazing to drink. Like many people, this last Sunday night I was tuned into HBO for the beginning of the new season of Game of Thrones. Also like a number of those viewers I had one of the tie-in beers made by Brewery Ommegang in hand for the event. 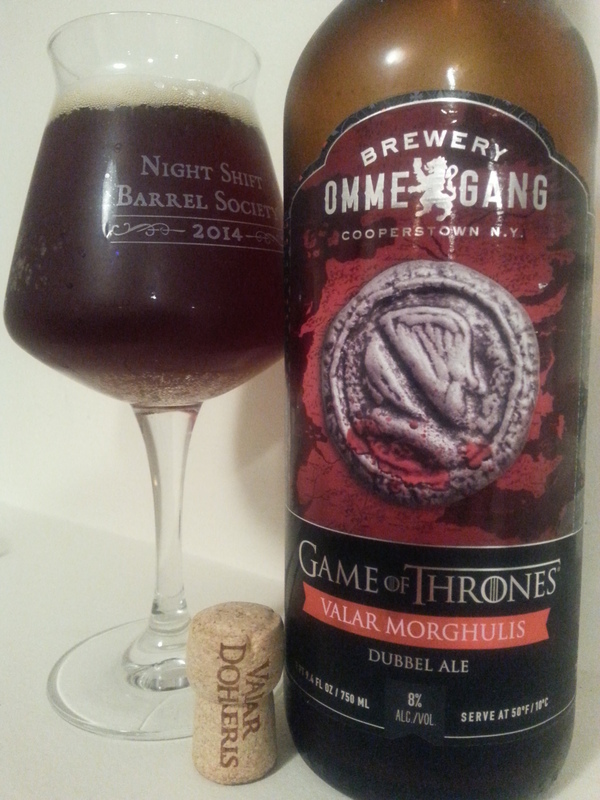 Valar Morghulis is a beer I picked up last fall and managed to follow through on my plan to save it until the season opener. Description: The third beer in the brewery’s Game of Thrones inspired series, its name translates to “All men must die” and was created as a Dubbel to represent a two headed coin given to Arya Stark. Labeled on the neck, it was bottled on 09/03/2014 and recommended as best by 09/2017. Price: It was either $8.99 or $9.99 at the neighborhood Kappy’s. Don’t recall which but I do remember it being much better than the $12.99 price tag I saw in Downtown Boston. Smell: Smell was sweet and a bit boozy with a nice finish of Belgian-style yeast. Taste: Dark fruits and a little bit of sweetness with a distinct Belgian yeast characteristic. Slightly boozy finish that picks up a bit as the beer warms. Mouth Feel: Medium/Medium thin body. Super bubbly carbonation that is especially noticeable at colder temperatures. Feels a bit thicker and less bubbly at warmer temps (which is about where I prefer this beer). Hype Factor: Cautious optimism. I’m always a little wary of things that are hyped or try to tie-in to something popular in its own right, but the fact that it’s Ommegang doing the brewing gave me confidence. Overall: This was a very solid beer and I am glad I picked it up. If it was regularly available I don’t think I would pick this beer up regularly given the option (the style just isn’t quite where my tastes are at this particular moment), it was very well done and an excellent treat to enjoy while watching the show. Definitely feel confident picking up another beer in this series, but would most definitely keep an eye on the price point. 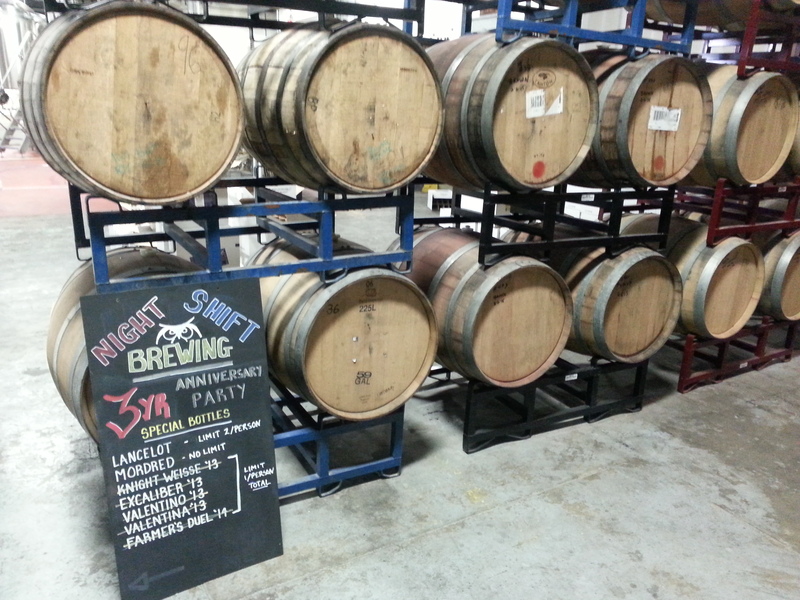 Last Tuesday (that would be 3/31/2015 as sickness delayed this posting), Night Shift Brewery celebrated their three year anniversary in way true to their style by releasing three new beers and taking a few things out of the cellar for party. The festivities started at 3:00 PM and by the time I got there around 5:00 they already had quite a crowd. My “late” arrive meant that I missed out on a chance to pick up any of the cellared bottles they had put up for sale, but there was plenty of great be had on draft. 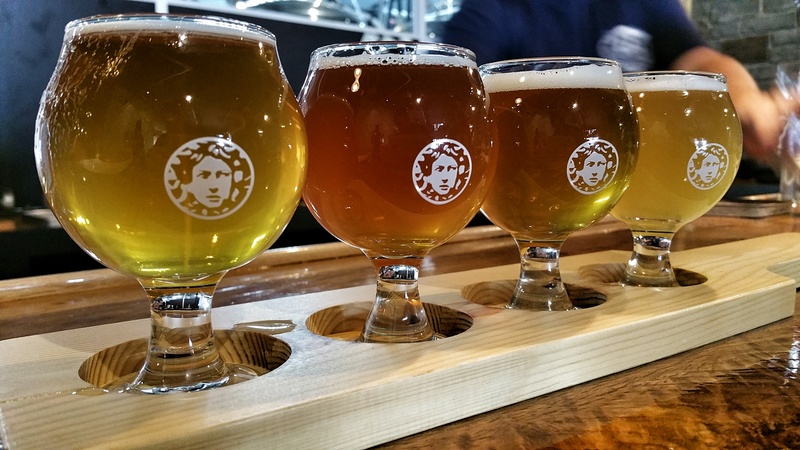 The three beers brewed specifically for the celebration were Mordred, Lancelot, and Guinevere. Mordred is an oatmeal stout brewed with maple syrup. It poured black as expected with a half inch tan head into a snifter glass. The taste has a moderate amount of roastiness to it with just a hint of the extra oats. Drinks smooth and thick, especially as its given a chance to warm a bit and sweetness from the maple syrup picks up on the finish. It tastes right about in line with the 7.5% ABV. A very nice beer and certainly one worth checking out. Lancelot and Guinevere are both 3.5% Berliner Weisses, a style Night Shift does very well. The Lancelot offering was aged with blood oranges and pours a pale yellow straw color. The smell is very mild and is followed by a light citrusy tartness. If I had to guess as the fruits without knowing, I would have said watered down orange juice and perhaps some lemon. This wasn’t a bad beer, but it certainly wasn’t my favorite of the three. With its light fizzy finish and mild fruity tartness, I could image absolutely crushing this on a warm summer’s day though. Guinevere, on the other hand, was the absolute stand out beer of the day. The day before the party, Night Shift announced that they encountered a quality control issue with these bottles that prevented their individual sale to the public. Apparently it showed signs of unfinished fermentation and rather than risk exploding bottles in people’s homes they are keeping these stored under strictly controlled conditions for serving at the brewery only. I found this to be extremely disappointing, as QC concerns aside, this beer is absolutely fantastic! 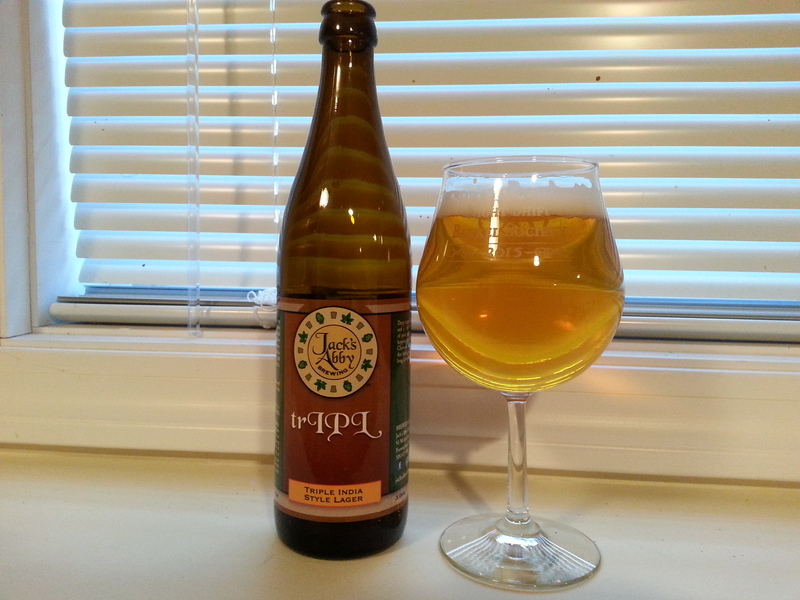 It pours a delicious golden copper and has a huge juicy apricot taste with a good tartness to it. If I could sign a waiver for a few bottles of this, I would do so in a second. This is a fantastic beer you should make an effort to try if you have the opportunity. All in all they debuted a very nice set of beers and certainly had a very good showing. I know I enjoyed himself and can’t wait to see what comes in Year 4. My guess is more great beer and random owl sightings. Cheers! It seems wrong that Jack’s Abby hasn’t made an appearance on here yet. They’re a mere hour or so from my house and they’ve put out some of my favorite beers from last few years. Time to remedy this oversight. Description: The label says that a “special warm hopping process help the Columbus, Chinook, and Citra hops dominate the beer giving it a biter back, and a long, complex finish.” I know I’m excited. Pour Info: Poured from a refrigerated bottle and breaking in a new snifter glass. Bottled on date was 03/03/2015. I actually enjoyed this one all the way back on 03/14/2015 so got to it nice and fresh. Unlike this posting which has been delayed by business then sickness. 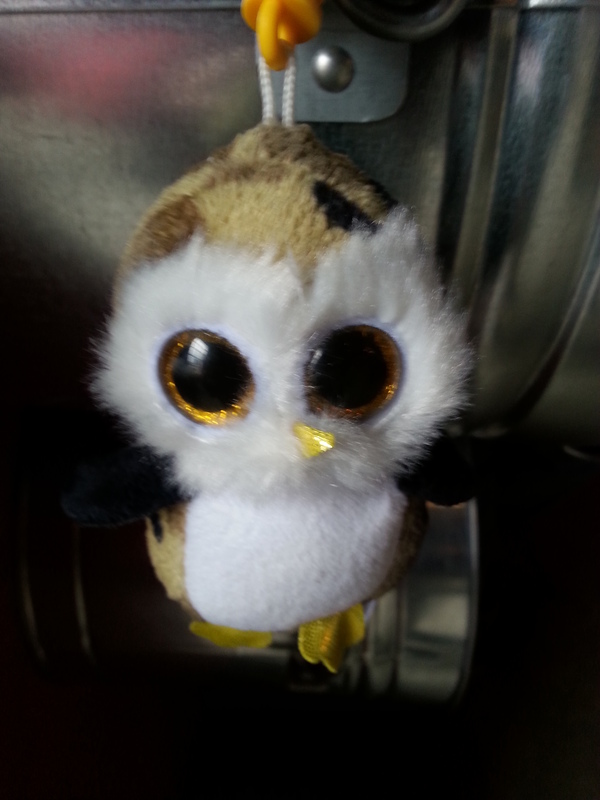 Appearance: Pours a light golden copper with a fluffy white head. Slowly dissipates to a slight coating across the top and sides. Smell: Lightly sweet, bursting with a fresh hoppy bitterness. Taste: Bready malts immediately up front. Quickly turns slightly sweeter as citrus tastes pickup, followed by a piney hop bitterness that picks up for the finish. There is a very slight hint of alcohol but nothing that suggests this is 10%. Very tasty and well balanced. Mouth Feel: Medium body with medium plus carbonation. Nicely accents the tastes. Hype Factor: Medium. Jack’s Abby is an awesome brewery and I was eager to try out another one of their hoppy offerings after thoroughly enjoying their Rising series. Overall: Excellent beer, highly recommended. Out of all the hoppy offerings Jack’s Abby has put out, I daresay this might be my favorite.